« An Open Heart by Stampin’ Up! Anything is possible with Stampin’ Up! 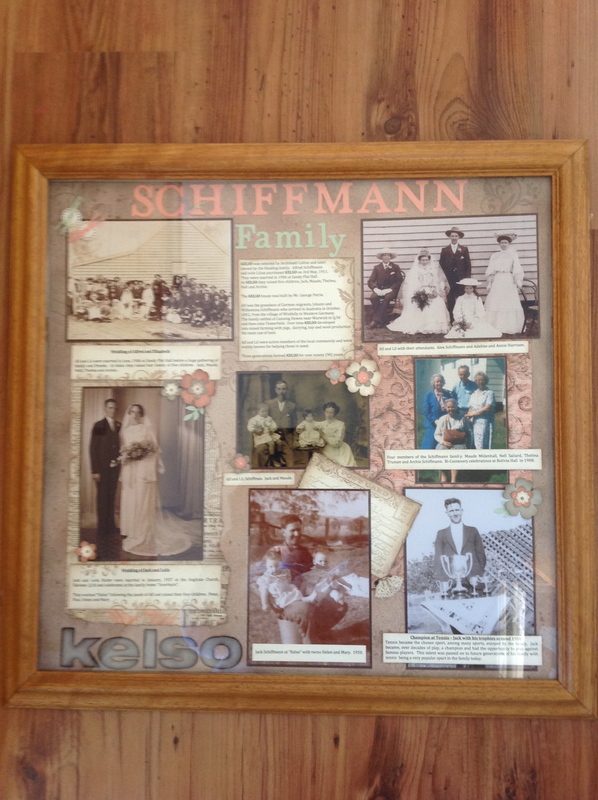 When I was approached by a friend to help her compile a framed memento of several decades of her family, I jumped at the opportunity. I love working with old photos, especially wedding pics. However, my excitement was soon cooled somewhat when I realized that there were several generations to be featured and the photos didn’t really ‘go well together’. They were a mis-match of styles and colors and Shreikkkkk! But Stampin’Up! products are so versatile and so user friendly it really came together quite well. I was pleased with the result and my friend was delighted. She can hang her family history in the Bolivia Hall now ver proudly and for all to see. Lots of products were used here. Stamps – Flowering Florishes, Postcard. Cardstock – Crisp Cantalope, Pistachio Pudding, Crumb Cake (of course!) Very Vanilla. It really was like doing a very large scrap page. Now that it’s finished I just love it!